I am Deborah Wake, the owner and one of the nurse therapists at Clinique Elan. I have been in the appearance medicine industry for well over twenty years. I spent the first eighteen of those years working at the largest Plastic Surgery, Dermatology and Vein Specialist clinic in Hamilton. I was responsible for developing the Appearance Medicine side of the practise in the early days, introducing and establishing many new procedures and techniques over the next eighteen years. During my years in the industry, I have also been privileged to be both a national and international trainer. I currently teach basic and advanced techniques for both botulinum toxin and the Belotero range of dermal fillers. Clinique Elan was set up in 2013. I wanted to establish a clinic that offered a wider range of treatments than were available at the time, in a professional, friendly and safe environment. I believe we have done exactly that at 47 Pembroke Street. Our reputation is for producing natural looking results, which is what most clients are looking for. The trust people put in me is huge, and I take it very seriously. In the last few years, I have developed a special interest in working with volumising products, not only for the replacement of lost volume through ageing, but also for sculpting faces to optimise people's own beauty, regardless of age. I call that "beautifying". In 2013 I was lucky to be trained by world renowned Canadian Plastic Surgeon, Arthur Swift. I still use and teach his techniques today. Understanding the ageing face is essential to be able to successfully make someone look more refreshed, and therefore younger, without looking over done. When treating younger faces to enhance their looks, understanding what "beauty" is, is also essential. I teach these skills as part of my training. Having this knowledge makes the difference between being a good injector and a great one. Sclerotherapy for the treatment of spider veins on the legs is another area of special interest. It is very satisfying to see someone wear shorts or skirts for the first time in years. With 24 years nursing experience, six years of that time specifically involved in the plastic surgery field, I have always had an interest in taking this aspect of nursing to the next level. I was particularly interested in learning more about appearance medicine, particularly how to treat clients with injectables (filler and toxin). Under the guidance of Deborah, whom I had worked with at Tristram Clinic, I have had the privilege of having one on one training, and working alongside her since Clinique Elan opened in 2013. My areas of expertise now include injecting both botulinum toxin and dermal filler for facial enhancement. I also have an absolute passion for skin rejuvenation treatments and the fantastic medical grade skin care that we stock at the clinic. I firmly believe that injectable treatments are further enhanced when your skin is in optimal condition. By attending regular national training sessions and conferences, we can assure our clients that they will be treated with the most up to date techniques and to the highest skill level. I believe in keeping treatments age appropriate and working together with my clients to come up with a plan that will keep the treatment within their budget and as natural looking as possible. I'm Jessica, the newest member of the Clinique Elan team. I was employed primarily as the light therapy nurse, but with a view to extending my role to work full time and include injectables, as well as other Appearance Medicine procedures offered at the clinic. A registered nurse for fourteen years, I have worked in general practice, public health, fertility and district nursing. Educating and nursing patients to heal, become well and make positive life-style changes has developed a strong belief that optimum health means looking and feeling your best, both physically and mentally. This is how I realised my passion was to work in the appearance medicine industry. To begin this journey, I have recently graduated from a year of night classes to become a qualified beautician. The combination of nursing and beauty therapist qualifications is recognised as being very beneficial in this industry. It has certainly given me a head start in understanding of all the many procedures available. I have mastered the challenging skills of IPL (Intense Pulsed Light) and laser, which includes Genesis, vascular treatments and hair removal. I am currently also injecting botulinum toxin and have started with fine line filler, both of which I am very excited about and cannot wait to do more! My goals are to team all aspects of skin care. light therapy and injectables to ensure the best outcome for my clients. "The best way to predict your future is to create it". I look forward to helping as many as possible to do just that. I am responsible for the financial aspects of the clinic. As Deb and I had worked together prior to Clinique Elan opening in 2013, I had some experience and insight into the Appearance Medicine industry. I previously worked as a residential property valuer, taught computer skills and worked with the Waikato Breast Cancer Trust. The skills I acquired in these roles have proved invaluable in my role here at the clinic. I have had the opportunity of implementing new systems that assist in the smooth running of the clinic. I love working at Clinique Elan, meeting and working with wonderful people is an awesome way to spend my day. I’m Caitlyn. I started at Clinique Elan in September 2016. I was employed on a part time basis to cover the reception desk a couple of afternoons a week, as I was still tutoring at the Elite International Beauty School. Soon after, Deborah asked me to leave Elite and join the team in a full time role, as the receptionist, but also as the social media manager, and I accepted. I am primarily responsible for the day to day running of the office, alongside Julie, our Practice Manager. My other main role has been to set up a social media programme for the Clinic. Since taking that on, I have established a regular Facebook and Instagram presence, which have been successful in increasing our brand awareness and subsequently increasing our client base. I also hold the unofficial title of IT "whizz kid" frequently assisting my "older" colleagues in this area. As a trained beauty therapist, with over 5 years experience, under Toni's oversight, I also perform medi-facials and am available for skin consultations. Over the last few years, I have been fully trained in all our skin care products. 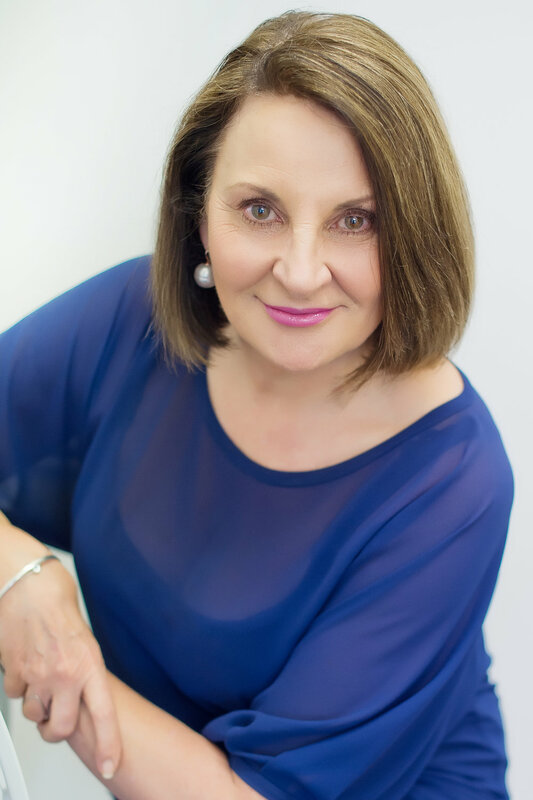 With many years of experience with cosmeceutical/medical grade skincare prior to working at Clinique Elan, I am very comfortable in this area and love to help clients find the right regime, designed especially for them.